The Purchasing Coach: Are you unconsciously incompetent? 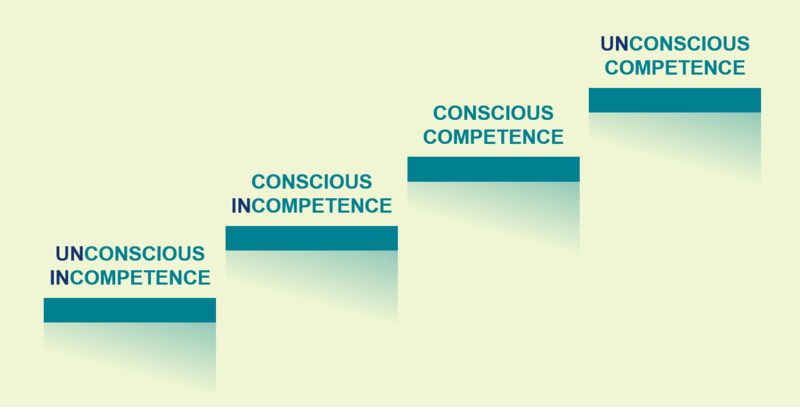 Are you, or are your stakeholders or suppliers unconsciously incompetent ? I'm sure the seemingly effortlessness of the synchronised swimmers, gymnasts or cyclists at the Olympics might have lulled some of us into a false sense of security - that we too could do that! Or is that just me? Such a GREAT reminder that when learning anything we start unconsciously incompetent. It's only when we try it that we realise what we don't know, and become consciously incompetent. 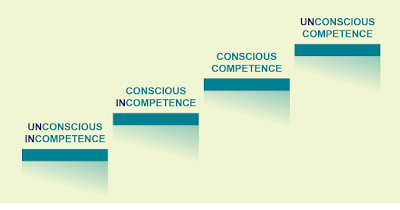 As we practice we may even manage conscious competence, and over time that conscious awareness slips into our unconscious. It's a process we follow when learning any skill - even procurement. The task many procurement professionals have when dealing with stakeholders therefore is remembering many of them don't know what they don't know, and just like Mike think they too can have a go themselves. Procurement's task therefore is to help others understand that the skills required to do procurement well take time to develop, and have been achieved through lots and lots of practice. Like any of the medals won this last few days Procurement's medals will only be achieved by the professionals who spend time in the pool daily, rather than those who haven't set foot in it since childhood! How will you help your stakeholders understand Procurement is more like the 100 meters than the egg and spoon race? PS The same can of course be said when we try to tell our suppliers how to do their job! PPS For more Olympic themed blogs see yesterday's about wining gold together with suppliers or seeing them as the opposition to be beaten. Have you tried everything to find a solution? Are you in the right state of mind? Do you remember that dress? What's sauerkraut got to do with it?